Does traveling by car have you feeling bored? Are you tired of eating uninspired meals? Do you want to stop and smell the flowers? If you said yes to any of these questions, shake things up with a visit to Palestine. This unique East Texas city offers a terrific mix of attractions, restaurants, and experiences that will recharge your batteries and remind you why Texas is the best state in the Union. Read on for a few suggestions of some of the best things to do in Palestine when you get here. Palestine has developed a reputation as an East Texas culinary hotspot, thanks in part to the presence of some world-class eateries. 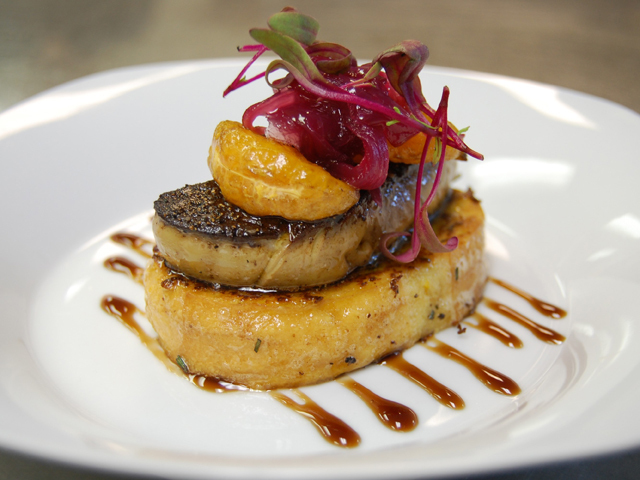 If you’ve always wanted to try foie gras or escargot, head to the elegant Red Fire Grille, where Chef Christian Mailloux serves up such delicacies with an excellent wine selection. True oenophiles will want to pay a visit - and stay overnight - at Sabor A Pasion Estate and Vineyard, a bed and breakfast/restaurant helmed by classically trained chef Simon Webster. Enjoy some fantastic wood-fired pizza with bring-your-own wine, then retire to your tranquil cabin and watch the sunset. And don’t forget dessert! Palestine is home to one of the top five places in Texas to eat pie, Oxbow Bakery, as well as the oldest continuously operating bakery in Texas that ships its famous fruitcakes around the globe, Eilenberger Bakery. When you’re looking for a unique shopping experience, the easiest place to begin is in Palestine’s Main Street District. 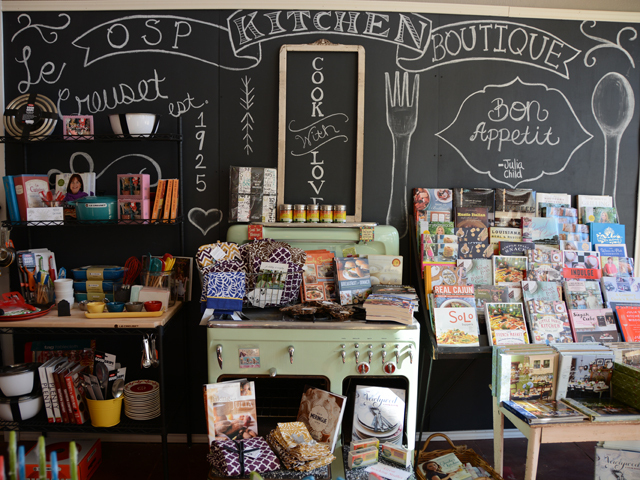 In addition to all the eateries, you’ll enjoy beautiful views of art and architecture, like the outdoor Art Tracks Sculpture Exhibit and the beaux-arts-style Anderson County Courthouse; as well as great shopping and antiquing at shops like Old Town Vintage & More or Mary Jean’s Boutique. Downtown Palestine also offers a variety of other adventures. Catch a performance by the Palestine Community Theatre at the historic Texas Theatre or visit the tasting room at Granny Muffin Wines to sample one of the locally made reds and whites. There’s enough to do in Palestine’s Main Street District that you really can choose your own adventure. Each time, you might find a new surprise that will keep you coming back for more. 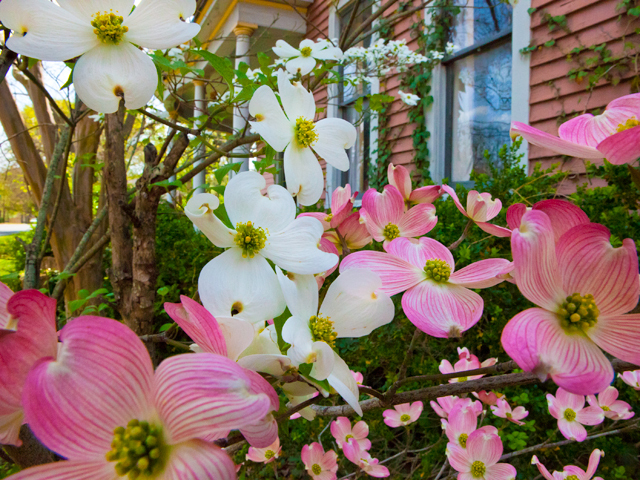 To lovers of Texas flora, Palestine is synonymous with the crisp white and vivid pink flowers of the dogwood tree. For nearly 80 years, the city has hosted the famous Dogwood Trails Celebration every spring when the lovely flowers are in bloom in Davey Dogwood Park and in the yards of private residences throughout the north and south side historic districts in town, and the last two weekends in March and the first weekend in April is the best time to visit Palestine. In addition to the wonders of nature, there is plenty of other entertainment, such as the Dulcimer Festival, bull-riding, a community-wide garage sale, and much more. Come back in November to catch the picturesque hues of the fall foliage as autumn weather settles in. There is only one city in all of Texas that boasts more buildings in the National Register of Historic Places than Palestine. Historic homes, churches, schools, courthouses, and cemeteries dot the map of the city, making it an ideal getaway for photographers and fans of old-fashioned architecture. Many of these are still open for business today, while some can be toured during special events like the “Hearth & Tinsel” historic home tour held during the Christmas season. Visit the Historic Preservation page of Palestine’s website for more information. 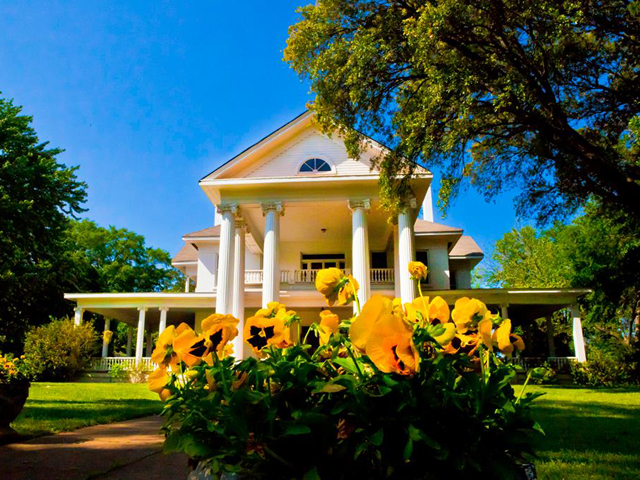 To take in lots of local history in one location, check out the Museum for East Texas Culture. Housed in a high school built in 1916, the museum presents East Texas artifacts and exhibits across four floors. You’ll see displays involving the Caddo Indians, items from the city’s railroad-centric past, classroom aids from yesteryear, and more. Don’t forget to stop by the museum’s store for a one-of-a-kind gift or keepsake, such as a custom paperweight or a book by a local author. All aboard the Texas State Railroad! 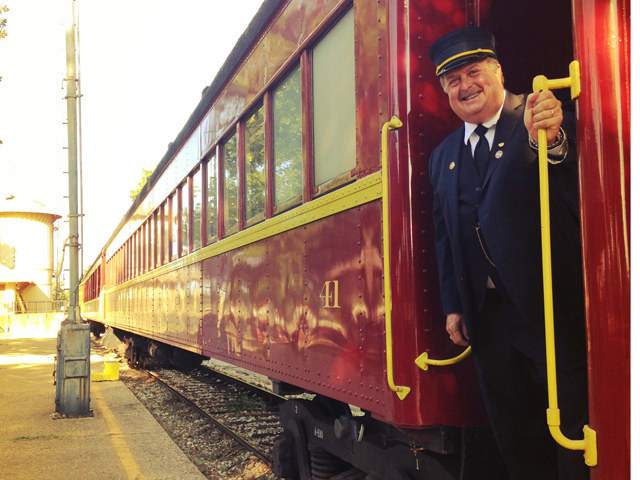 Taking a ride on the Official Railroad of Texas is one of the most fun things to do in East Texas for just about everyone, with special events geared toward every taste running regularly. The Polar Express ride is one of the most popular rides each year, transporting kids on a magical journey to the North Pole. There’s also the Fall Foliage Brunch Train in November, which includes a five-course meal and a hearty serving of spectacular views. Meanwhile, the Piney Woods Train Excursion carries passengers through the gorgeous East Texas countryside throughout most of the year. Not only is this one of the most unique things to do in Palestine and East Texas, it’s also a great way to spend time with your youngsters as you admire the region’s stunning scenery.